Far from the hustle and bustle of the Front Range, Colorado’s Western Slope offers countless opportunities to escape the crowds and see the state at its finest. Positioned at the confluence of the mountains and the desert, the Grand Junction area accesses an exceptionally broad variety of hiking. As a general rule, plan to hike early in the day during the summer, when temperatures are known to crawl into the triple digits during the afternoon. Make sure to bring plenty of your own water, as potable sources are few and far between. And, of course, bring a camera, because hikes in the Grand Valley are rich with colorful human and natural history. Go ahead and check out these 12 incredible hikes, any of which will have you planning your next trip to Grand Junction. Accessible directly from town, the Riverfront Trail is a lovely stroll along the Colorado River. 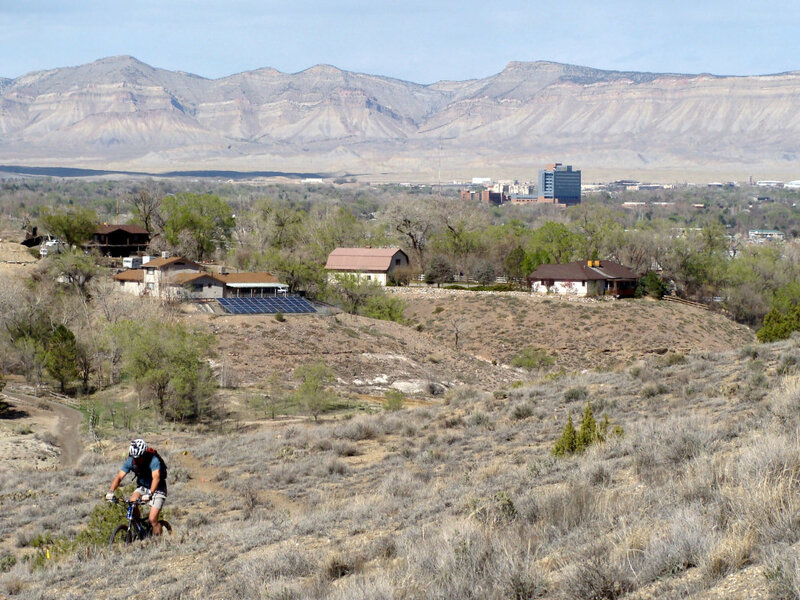 It’s part of an ongoing, 25-year project to connect the town of Palisade in the east to Fruita in the west by one uninterrupted path, which means it’s easier than ever to take a pleasant midday walk. The area is also a habitat for more than 200 species of birds and three endangered fish species, so bring your camera. A Colorado National Monument favorite, the hike to Devils Kitchen is beloved for its unique geology and opportunities for fun rock scrambling. The "kitchen" is a hallway formed by giant boulders and offers incredible views of the valley. As a bonus, the trailhead is also the starting point for other not-to-be-missed hikes, including No Thoroughfare Canyon. This trail offers some of the most bang for your buck in Colorado National Monument. The easy Canyon Rim Trail begins on the back porch of the Visitor Center and follows Wedding Canyon to the Bookcliff Overlook. 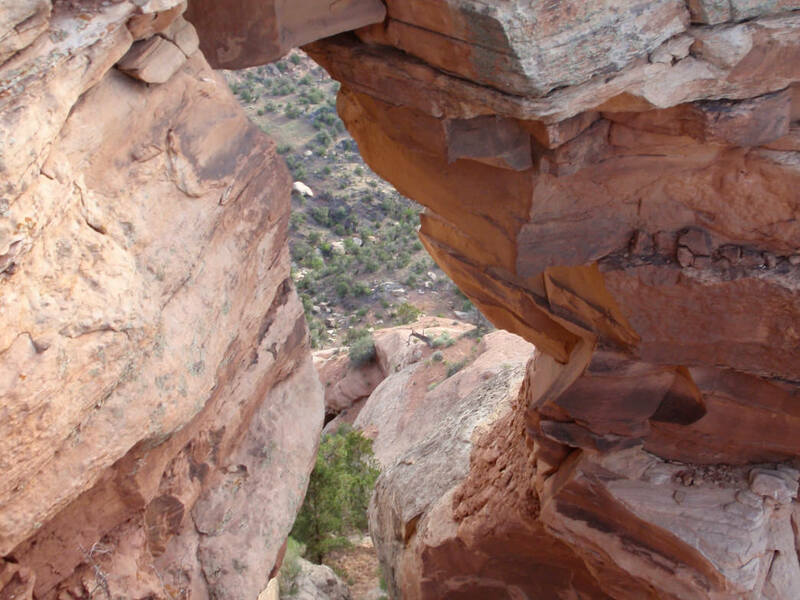 From here, hop on the Window Rock Trail for sweeping views of the canyon’s brilliantly-hued walls and the towering monoliths in the Monument and Wedding Canyons below. 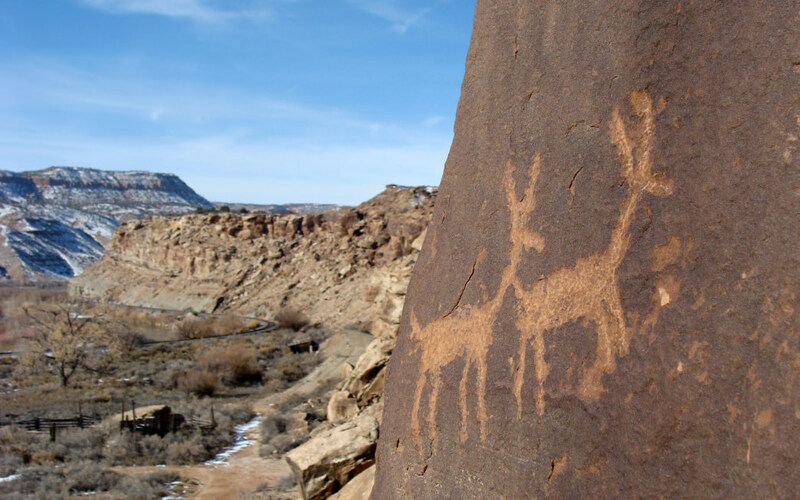 There’s plenty to recommend Dominguez-Escalante National Conservation Area, only about 30 miles south of Grand Junction, but one of the more unique options is the short, easy hike to see two sets of ancient petroglyphs. As a bonus, this area doesn’t see a ton of traffic, so you’ll likely have the trail to yourself (especially on a weekday). Orchard Mesa sits roughly four miles from downtown Grand Junction, and it’s amazing how much history you can find so close to town. This historical trade route ran all the way from Santa Fe to modern-day Los Angeles. This seven-mile hike from Orchard Mesa to Whitewater follows a portion of the northern branch of its 700-mile path, giving hikers an idea of what traders (and the Native Americans that came before them!) might have encountered on their long journeys. Expect to see wildlife and colorful desert plants, and then hop on the Gunnison River Bluffs Trail (overlooking the Gunnison River of course) for a change of scenery if you plan this as an out-and-back adventure. Before paved roads were a possibility in Colorado National Monument, the aptly-named Serpents Trail was it. Today, the precursor to Rim Rock Drive (nicknamed "The Crookedest Road in the World") is a popular destination for many locals, who incorporate the 16 switchbacks into part of a daily fitness routine. However you choose to hike it, it’s fascinating to imagine the work that went into creating a road in such rough terrain in the early 1900s. This trek through the Wingate Sandstone is beautiful any time of year, and the area is also a great spot to go stargazing on a clear night. If there are any dinosaur enthusiasts in your group, the Trail Through Time is not to be missed. Just over 20 miles west of Grand Junction in the Rabbit Valley area, the Trail Through Time is a mile-and-a-half loop dotted with interpretive signs. There’s also an active dinosaur quarry, which is still being excavated during the summer months. Fossils found here include those of Brachiosaurus, Allosaurus, and Diplodocus. Beginning in McInnis Canyons National Conservation Area near Loma, Colorado, this 142-mile trail stretches all the way to Moab, Utah. 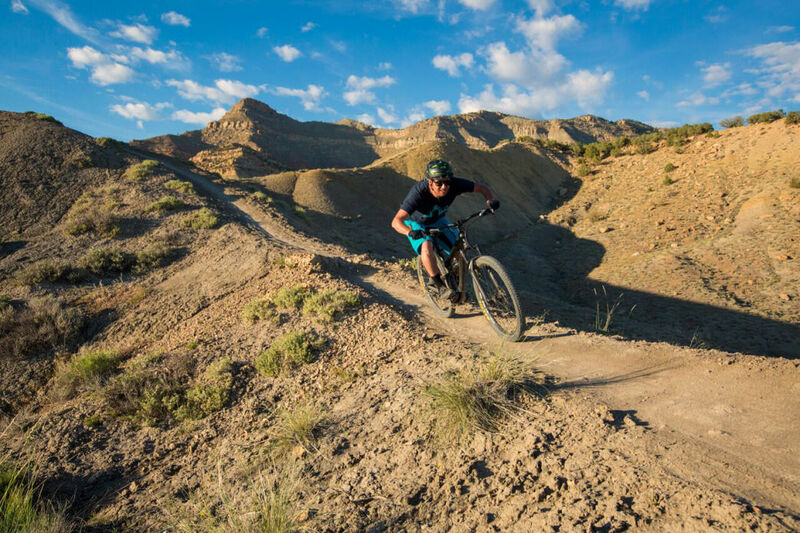 The Kokopelli Trail was established in 1989 and remains a popular destination for mountain bikers and bikepackers, as well as hikers and backpackers. 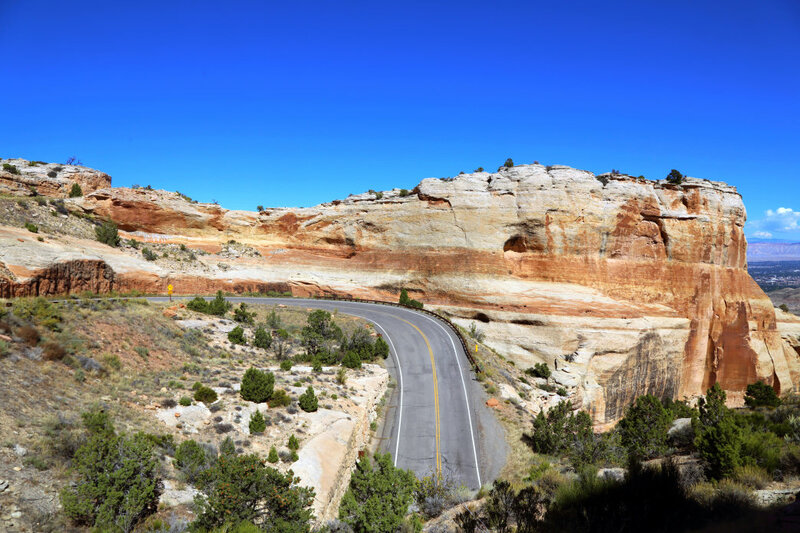 This remote route roughly follows the mighty Colorado River through shale canyons and along sandstone bluffs, with plenty of wildlife and native plants along the way. It’s mostly made up of singletrack and 4x4 roads, and you’ll need to bring water. 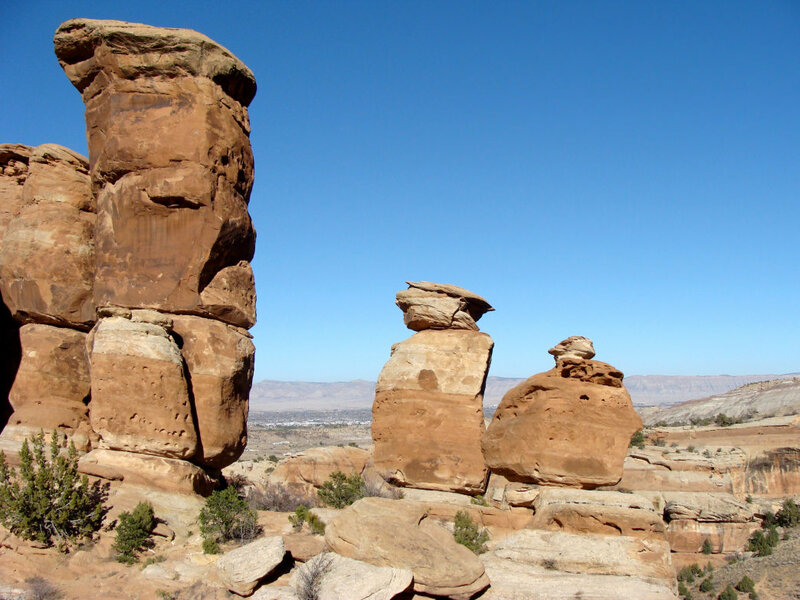 Just 20 miles from Grand Junction proper, this trail boasts the highest concentration of natural arches outside of Arches National Park in Utah. Expect to see more than just the famous arches, though—there’s also spires, windows, giant alcoves, and panoramic views of the valley below (you can even get on top of some of the arches for the best vantage point!). The hike tends to be hot, so you’ll need to bring plenty of your own water. If you have a high clearance, 4-wheel drive vehicle, you can drive to the closer parking lot found in the Black Ridge Wilderness. Otherwise, hike in from the Pollock Bench Trailhead in McInnis Canyons National Conservation Area. Note: Check ahead of time for seasonal road closures and seasonal route changes to the Rattlesnake Arches trailhead. 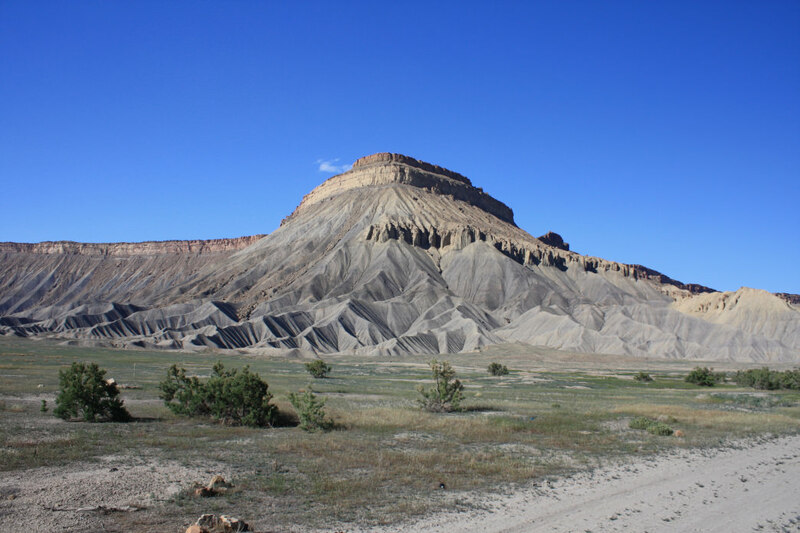 This challenging hike in the Book Cliffs, ten miles from Grand Junction, is considered excellent training for Colorado’s many Fourteeners. It’s not the altitude itself that gets you, it’s the elevation gain: the hike climbs 2,000 vertical feet in just under two miles. Distract yourself from the difficulty by keeping an eye out for fossils. This loop, a National Recreation Trail in Grand Mesa National Forest (about 50 miles from Grand Junction), can be accessed from two spots: near Island Lake or Eggleston Lake. From its high point of over 11,000 feet atop the Grand Mesa, you’ll feel like you’re on top of the world, with views for over 100 miles on a clear day. Get an early start on this one to avoid afternoon thunderstorms in the summertime. With a trailhead practically in town (it’s just across the Colorado River on Monument Road), the Lunch Loop Trails System is one of the best, most accessible recreation spots in Grand Junction. The trails are frequented by mountain bikers, too, and offer views of both Colorado National Monument and Bangs Canyon. There are several options here, ranging in distance from the 2.7 miles to almost 20 miles. Level trail following the cliff edge above colorful Wedding Canyon. Outstanding views. The Bureau of Land Management oversees stewardship of vast public lands in Western Colorado.